Saturday morning is the time for the weekly bazaar when vendors come to the village square to sell fresh produce, fabric, candy, and assorted home and hardware items. It’s the place to see and be seen in Legedzine! Not only do I buy 10 eggs, a melon, a cabbage, four carrots, a lemon, three eggplants, four tomatoes and five peppers for just under $5, I get kisses and hugs from all my favorite babushki, who remind me of my own dear Baba back home in Vancouver. 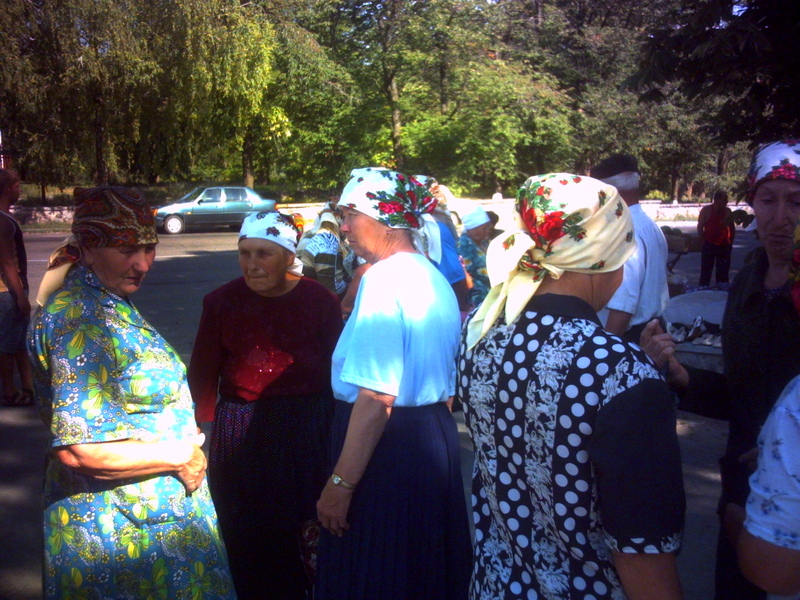 Maybe Baba would like one of those fancy head scarves to wear in Victoria Park? Good bargains at the market! Better than Melaque.